Representative Darrell Issa, Republican of California, is the wealthiest member of Congress. The typical American family is still struggling to recover from the Great Recession, but Congress is getting wealthier every year. 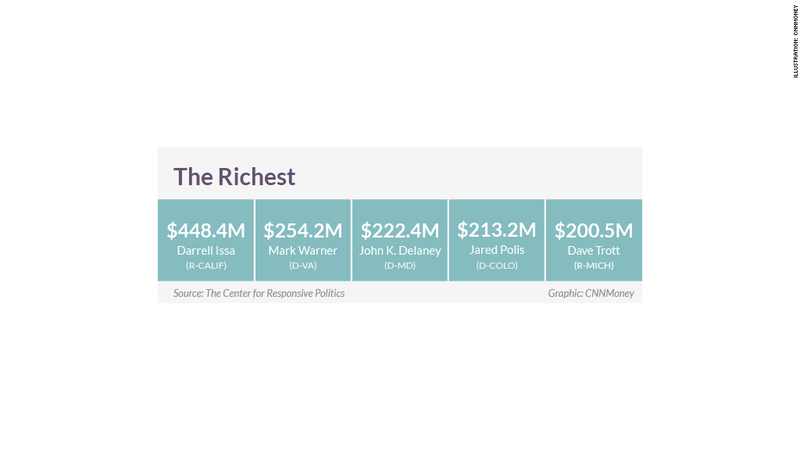 The median net worth of lawmakers was just over $1 million in 2013, or 18 times the wealth of the typical American household, according to new research released Monday by the Center for Responsive Politics. And while Americans' median wealth is down 43% since 2007, Congress members' net worth has jumped 28%. Congress also has some uber-wealthy members. 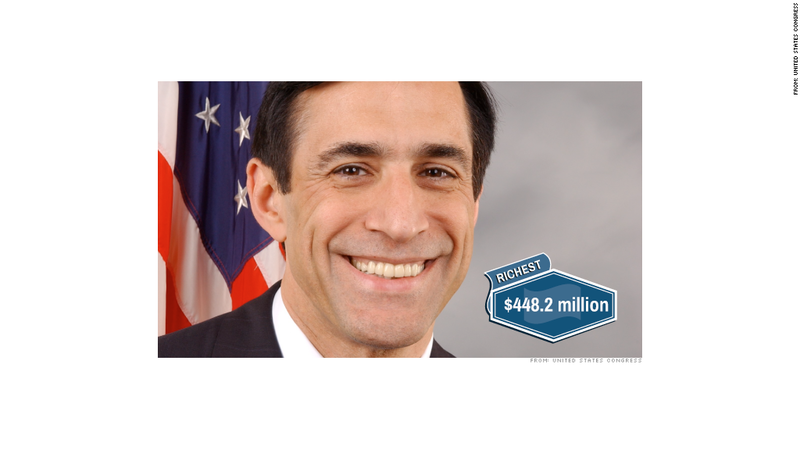 Representative Darrell Issa once again topped the charts with a net worth of $448.4 million in 2013. The California Republican's wealth stems from a car alarm business he built, but it's now mostly invested in high yield mutual funds, according to the center. Issa's wealth declined 3.4% from a year earlier. Not every member of Congress, however, is in the Top 1%. Some, in fact, have racked up some hefty debts. Representative David Valadao claimed the spot as poorest lawmaker for the third year in a row. The California Republican is $11.6 million in the hole, mainly due to large revolving loans he's taken out to support his family dairy farm. One bright spot ... a year earlier, his net worth was -$12.2 million. 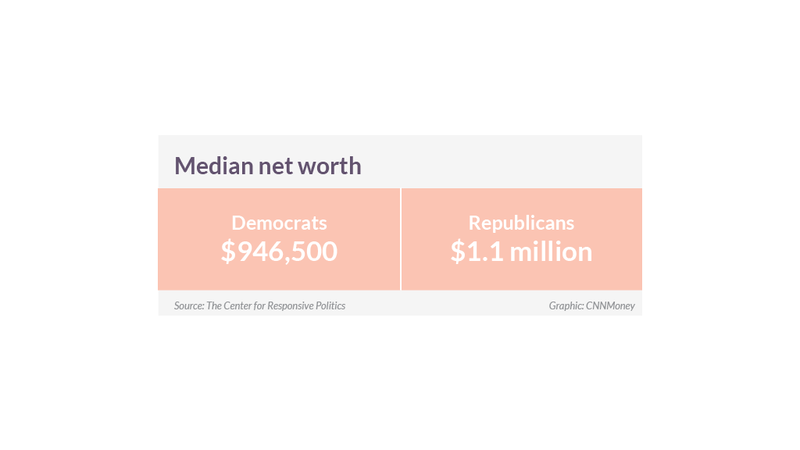 Republicans edged out Democrats when it comes to median wealth by party in 2013. The typical senator is also far wealthier than the typical representative. The median net worth of the Senate was $2.8 million, while the House was a mere $843,500. The second most common investment was in the securities industries, both stakes in financial services companies or through funds. 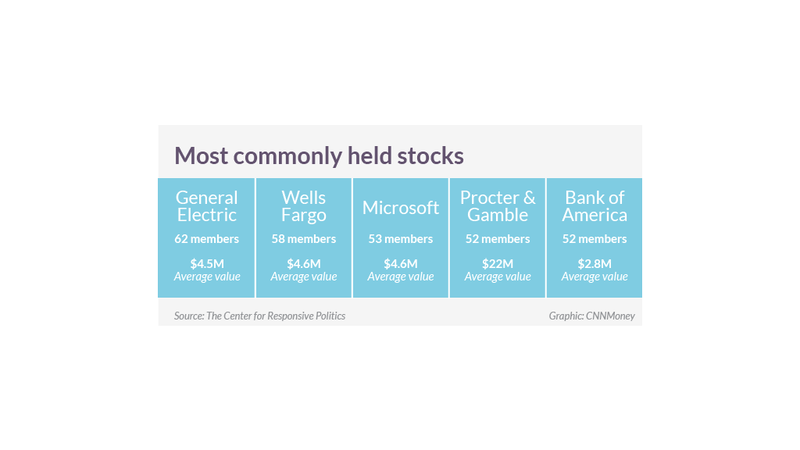 Ownership of individual stocks is less common, but the most popular is General Electric (GE). GE has done the most direct lobbying of Congress over the past five years.